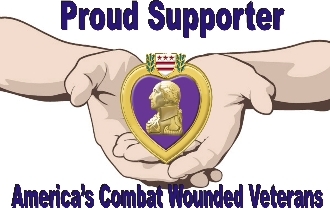 Our Supporter Tee Shirt designed to show your support for Our Combat Wounded Veterans. Logo front and full image back on our 100% Polyester Vapor Apparel Tee. ALL OF OUR DESIGNS CAN BE MADE FOR PROUD SUPPORTERS!